Get Chrissy Metz’s Critics’ Choice Awards dress for less than $100! You can snag Chrissy Metz's Critics' Choice Awards dress for less than $100! 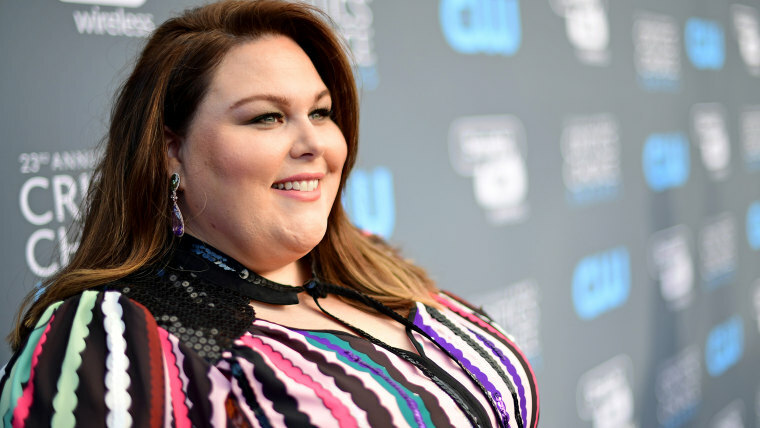 Chrissy Metz doesn’t have to empty her bank account to look incredible. The insanely expensive dresses celebrities wear on the red carpet are often way over budget for most us. But Chrissy Metz is proving she doesn’t have to blow the bank to look incredible. The “This Is Us” star showed up at the Critics’ Choice Awards Thursday night donning a '70s-inspired, tie-neck dress from Eloquii that goes for just $139. And it gets better — there’s a sale on the store’s site for an additional 40 percent off if you shop now. That means this dress could be yours for less than $90! According to Lovell, the 37-year-old completed her look with Anabela Chan earrings, a Spallanzani ring and Stuart Weitzman shoes. Lovell posted Metz’s look on her Instagram account, and the actress’ fans were wowed. “She looks absolutely stunning,” wrote one person. “Madly in love with this Chrissy look!” wrote another. It’s not the first time Metz has chosen to wear Eloquii on the red carpet. At last year’s People Choice Awards, she donned another custom, navy blue gown from the plus-size, online retail company.